Blog Interview Questions Answers Java Tips: What is the Fastest Way to Copy File in Java? How to copy file in Java from one directory to another is common requirement. 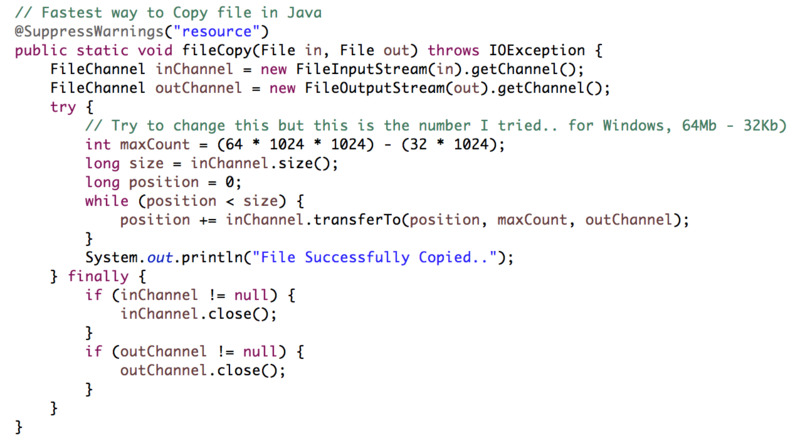 Java didn’t come with any ready made code to copy file. Below method is the Fastest Way to Copy File in Java?